Kong Skull Island will be in select IMAX 3D and 2D theaters on March 10. 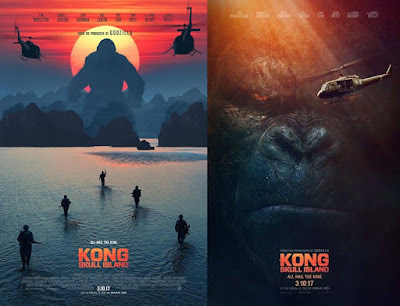 Coming from Warner Bros. Pictures, Legendary Pictures and Tencent Pictures, the movie is directed by Jordan Vogt-Roberts from a screenplay by Dan Gilroy and Max Borenstein and Derek Connolly, with a story by John Gatins. Producers are Thomas Tull, Mary Parent, Jon Jashni and Alex Garcia. Executive Producer are Eric McLeod and Edward Cheng.